They have good craftsmanship and integrity. They're caring, and they follow up. The salesman there was absolutely no pressure, and it was absolute quality. I've already referred two people to them. They did my driveway. I thought the quality was good. The men who did the design were very good. It was very artistic. They were very skilled. The finished product has stood up very well. It looks great. My neighbors have commented on the work. They are the best there is, and the quality is great. I liked the design and the service. They always listened to any requests for changes and made sure that I was satisfied. 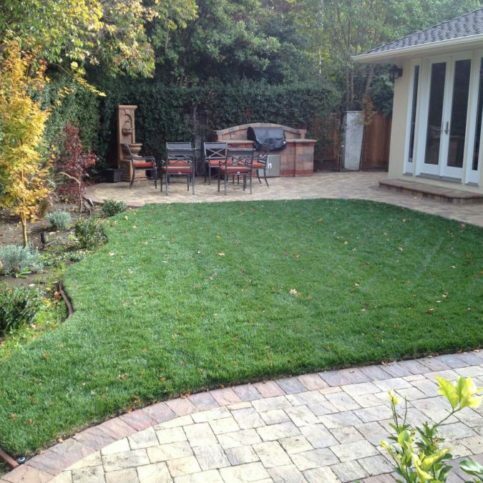 Modern Paving, Inc. - Peninsula is a full-service outdoor living contractor that serves residential and commercial clients in San Mateo and Santa Clara Counties. 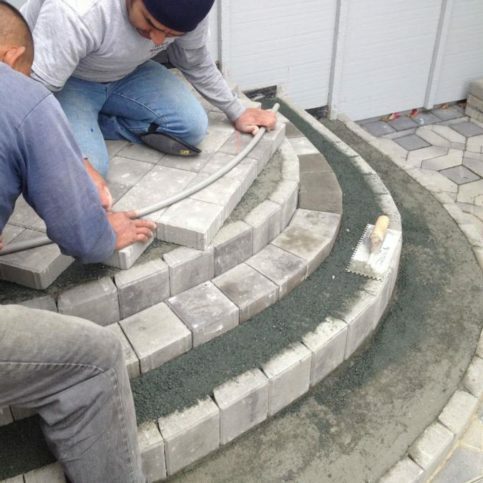 The company’s primary focus is designing and building outdoor living spaces that feature interlocking paving stones, artificial turf, retaining walls, low-voltage lighting, and much more. 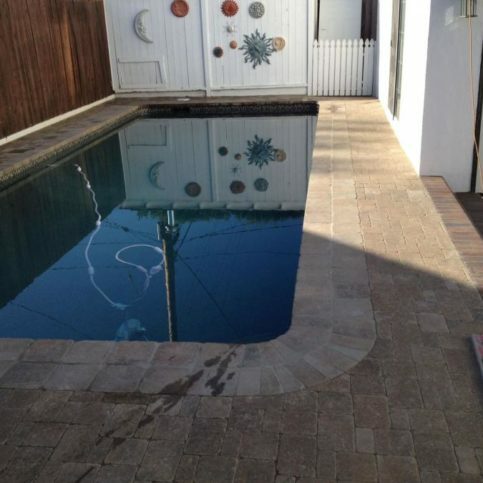 Whether it’s a driveway, walkway, patio, pool deck, or an old lawn or garden in need of attention, Modern Paving utilizes its experience to help its customers achieve successful projects. 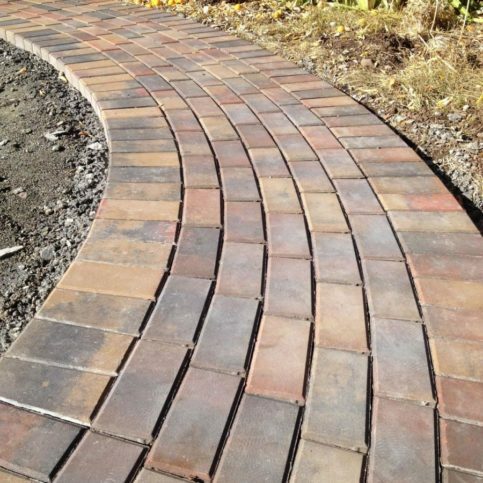 Modern Paving’s experienced staff members utilize their product knowledge to help customers make the right choices for their specific situations. “By combining top-of-the-line products and exceptional workmanship with a personal touch, we’re able to create products that our clients will be able to enjoy for many years,” says Mr. Tetrault. 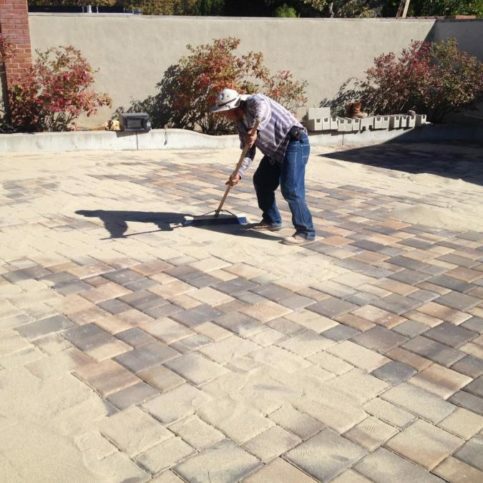 A Modern Paving technician works on a customer’s paving stone project. 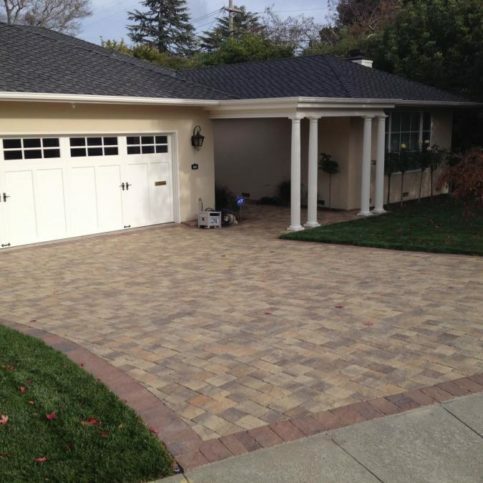 Modern Paving, Inc. – Peninsula has been providing landscaping and hardscaping services for residential and commercial clients in San Mateo and Santa Clara Counties since 1991. 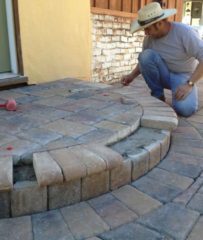 The company primarily focuses on designing and building outdoor living spaces (with an emphasis on interlocking paving stones and landscaping), but its in-house capabilities also extend to irrigation and drainage, low-voltage outdoor lighting and synthetic turf installations, and more. 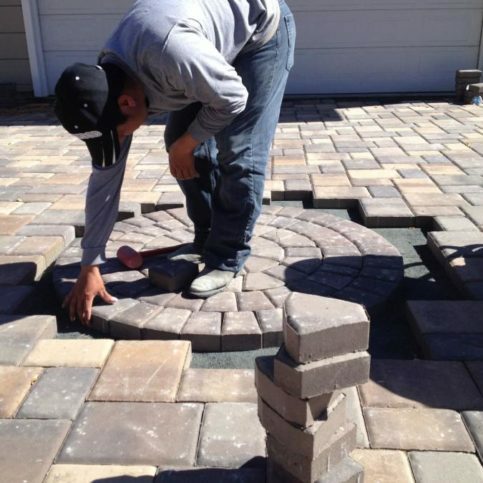 Having interlocking pavers installed instead of concrete is also beneficial if you need to access utilities underneath your driveway, such as plumbing, electrical, sewer or irrigation pipes. 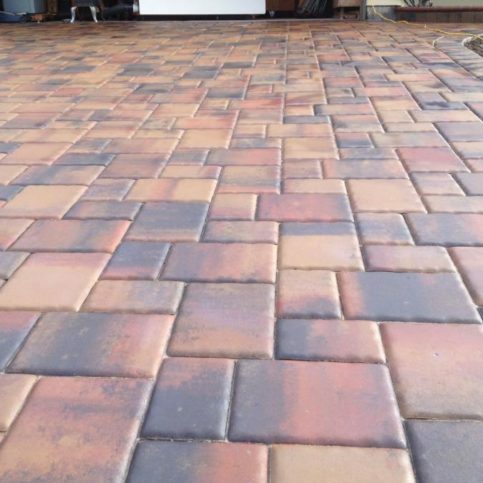 “You can easily lift and reset a few paving stones without damaging the driveway,” says Mr. Molof. Q: How long will it take to complete my project? A: Completion times are different for every job, but in general, we can complete most projects in one or two weeks. Q: Will you stop working on my project to start another job? A: No. Our crews only get one project assignment at a time, and they work every day until it’s finished. 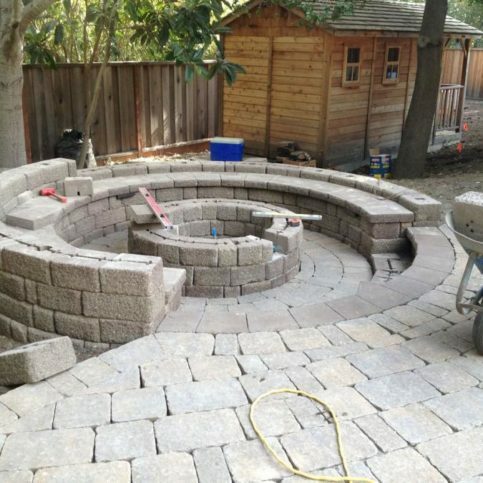 This allows us to complete every project in the most appropriate manner without rushing. 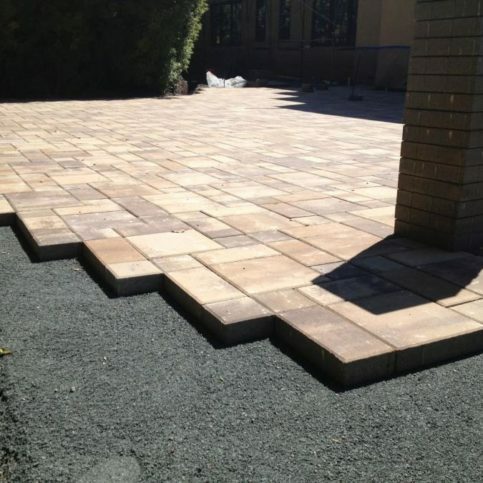 Our clients like that we start their projects and see them through to completion before starting another job. Once we start, we don’t stop until the homeowner is happy. Q: Do you offer any warranties? A: Yes, we offer a comprehensive 25-year warranty. It’s important to know that a warranty is only as good as the company that’s backing it. We’ve been doing this work for more than 20 years, so our customers can trust that we’ll be here if they ever need to make a warranty claim. Q: Have you done any paving work in my neighborhood? A: We’ve completed thousands of paving jobs over the years, and our work can be seen in just about every town and neighborhood in the Bay Area. 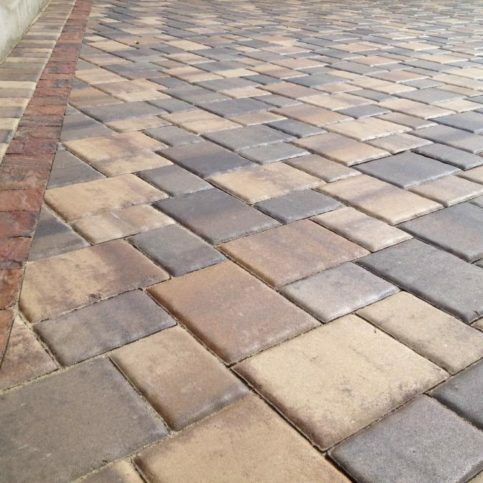 Q: How do pavers compare to concrete? 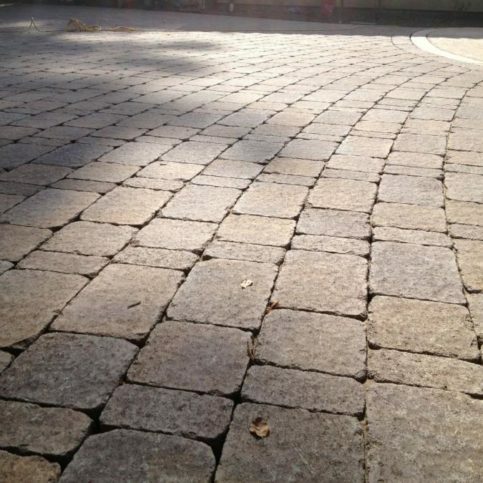 A: In general, paving stones have more flexibility and durability than concrete. 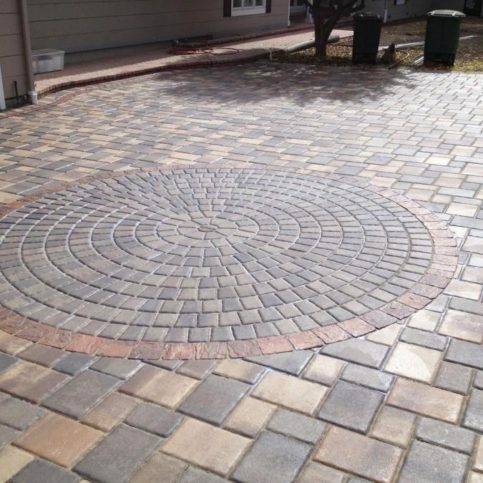 If you break or crack a paver, you can just replace the affected area. 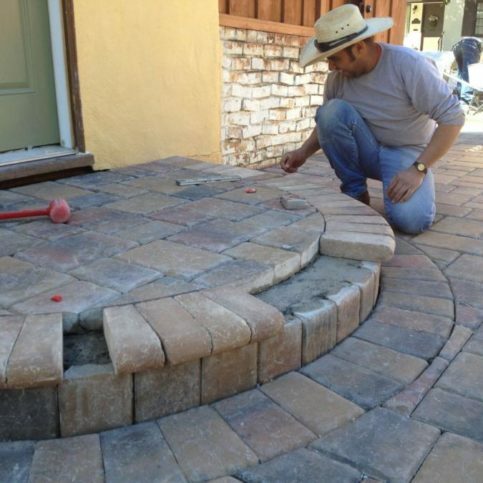 If you need to access utilities under your driveway, you can easily lift and reset a few paving stones without damaging the whole area. 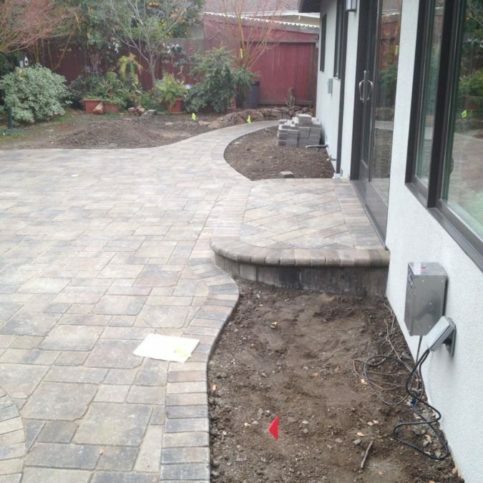 Also, with paving stones, we can complete patio, driveway and connecting side yard projects in phases. 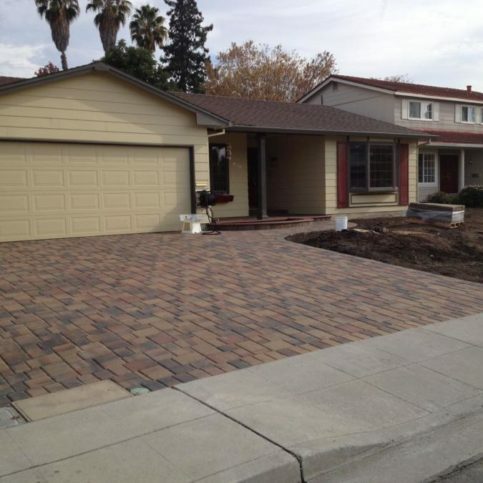 When it’s finished, it’ll look like it was done in a single job because we can match the paving stones and colors. You can’t do that with concrete. 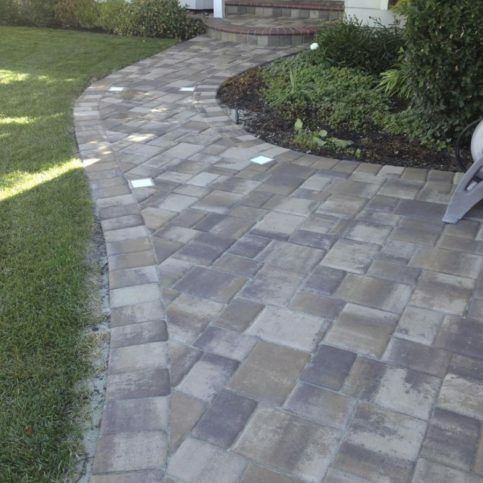 Paving stones also have an aesthetic element that many people like, and they can add more curb appeal to your house because their resale value is much higher than concrete. Modern Paving recently completed this job. 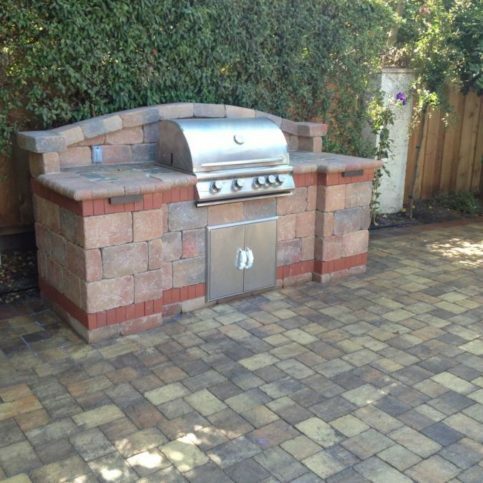 Modern Paving custom-built this barbecue. 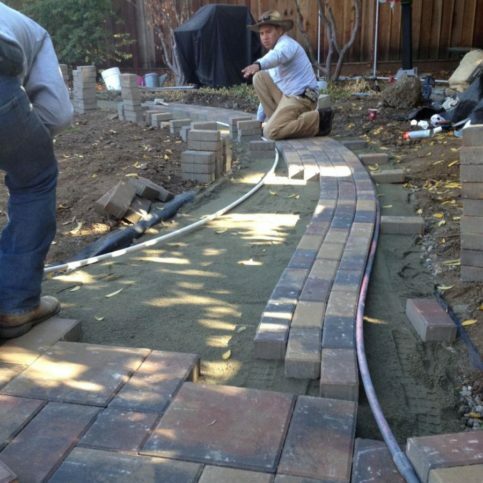 A Modern Paving technician works on a customerÛªs paving stone project. Steve Molof is vice president of sales at Modern Paving, Inc – Peninsula, a Diamond Certified company since 2013. He can be reached at (650) 564-3217 or by email. A: “The Winter Fortress” by Neal Bascomb. Q: If you could live in the city or the country, which would you choose? A: Sole Ristorante Italiano in San Mateo. A: My baseball, mitt and bat. A: Chocolate chip cookies and milk. 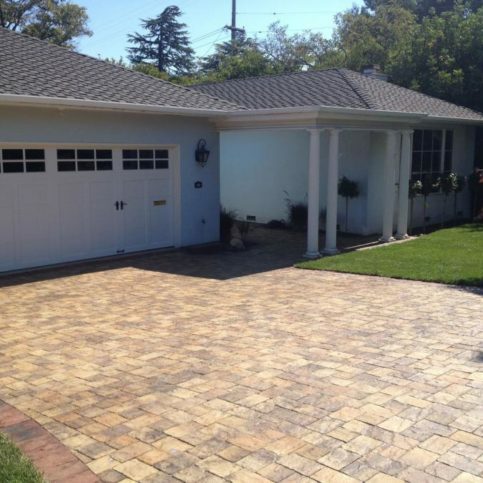 SAN MATEO — If you’re planning to install a new driveway, patio or similar hardscape feature, take the time to look for potential water-related issues. Water can be very effective at breaking down what you’ve built, so it’s important to assess your property and deal with any problem areas before construction begins. There are two aspects to consider when assessing your property for water-related issues. The first is groundwater, which is water beneath the surface. When a groundwater issue goes undetected, it can cause substantial damage to an installation’s foundation. 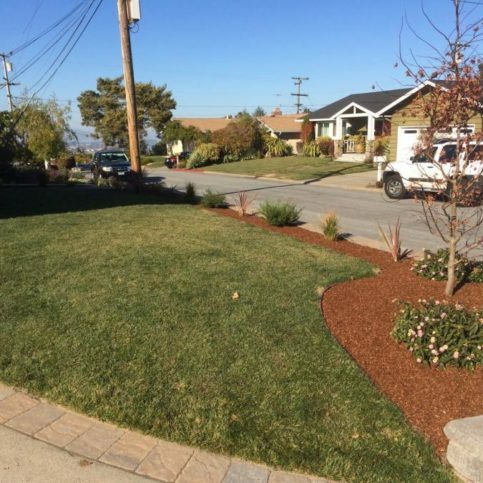 In most cases, installing a French drain can prevent such issues from occurring, as they’re designed to corral ground water and divert it toward a predetermined point. The second aspect to consider is surface water, or more specifically, what will happen when it rains on your new installation. It’s important for rainwater to be able to run off to an area where it won’t cause any surface or foundation damage. Typically, one or more well-placed surface drains will be sufficient to solve any surface water issues on your property. 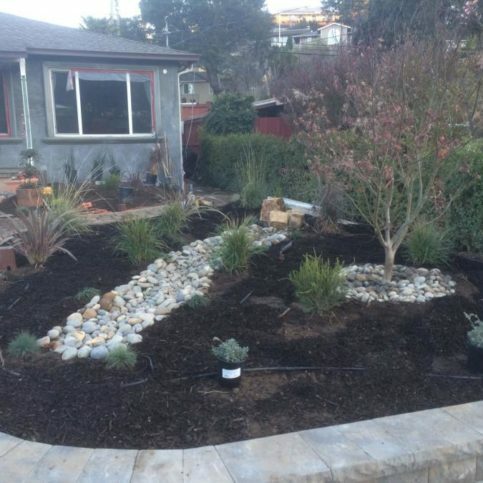 SAN MATEO — Host, Sarah Rutan: Before undertaking an outdoor project, it’s important to identify water flow to ensure it doesn’t damage your project. Today we’re in San Mateo with Diamond Certified Expert Contributor Steven Molof of Modern Paving to learn more. 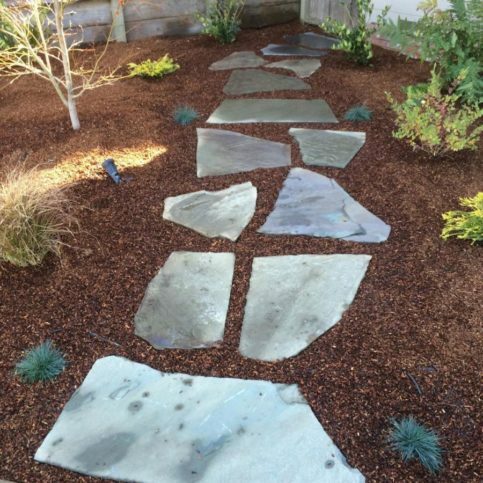 Diamond Certified Expert Contributor, Steve Molof: So, when you take on any outdoor project, whether that’s a driveway, a walkway, a pool deck, or some softscape elements like a brand new lawn or some trees, it’s important to take a look at what the water on your property is doing. There’s two things you look at, and it’s important for any contractor you choose to make sure they consider this before you start. That’s ground water, what’s happening beneath the surface. It’s important that we address that so that way it doesn’t end up damaging the foundation of your home or damaging the foundation of whatever you’re building, whether that’s a patio, a driveway, a pool deck, we don’t want that to unravel down the road. And water can be very effective at unraveling what you’ve built. The other thing is surface water. What happens when it rains, when the gutters, downspout down onto whatever you’ve built? How do we address that? So, you want to make sure that you send that to a place that’s not going to damage the surface of what you’ve built and compromise the foundation of your soil in any regard, whether that’s the driveway or if it’s a beautiful new planter. Make sure water is addressed so we don’t compromise any of the money you just spent on the beautiful new project. 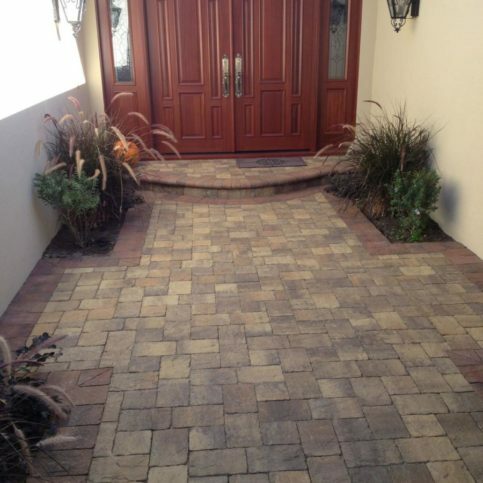 Modern Paving, Inc – Peninsula : Average 9.1 out of 10 based on 58 unique customer surveys of customer satisfaction. They went through a lot to please us. I wouldn't feel comfortable saying much else. Nothing exactly best, just overall was the best thing. They did what they say they would, and they did it fast. I think the speed and quality combined. They did a good job. They were able to make the new square match really well to the other surrounding squares. I liked that THEY did such a good color. They are very organized, they do quality work, and are very responsive. They have a lot of options, are very detailed, on time, and again very responsive. I think they are very professional, knowledgeable, and have a good team to make anything possible. They were good and got the work done quickly. They were quick, it was a hazard area, so it needed to be done ASAP. I would recommend them. They have a top of the line systems and procedures for more advanced things like foundations, foundation walls, and other related tasks. They have very intelligent people to work with on ideas and possibilities. They follow through, as simple as that is, I feel it is the most important. They did a decent job, I have no complaints about their work. I think it was the professionalism, along with the workmanship. I think they did a great job in responding to changes. The quality and end product was great. I was great. we had options, plus we made changes, the actual finished product was really good. We liked the guys who came out and did the bid, the work went smoothly, and it looks great. I think it has to be the team, they did a lot to make things the way we wanted. They did an amazing job. I couldn't have asked for more. I would recommend people use them. They have a variety of concrete services they offer, we used them for a special wall, a foundation wall. They are competitive and skilled. I liked the knowledge they have, also their prices are good. Our designer, Troy, was absolutely fantastic. I had other bids from other companies, and even though his bid was considerably more expensive, it was well worth it. His confidence and design work made the whole experience wonderful. Everything, from start to finish, it was wonderful. The whole process was pretty easy. They did what they said they would do, and they stuck with their timelines. We had a couple of glitches, but they fixed them. I don't think I could say exactly, but maybe just to use them. The two guys were nice and took their time. They were very hard workers. I have no comment for that. They have good, professional customer service. I like their personalized service and my satisfaction with the result. They're right on with everything.